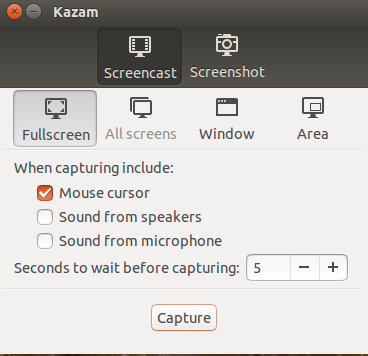 What Should You Use, Kazam, Simple Screen Recorder or Vokoscreen for Screencast in Ubuntu/Linux? If you would want to go with a simple solution then go for Kazam. 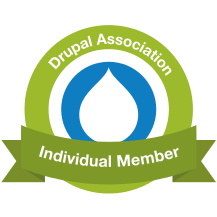 You simply install the software and sart using it without having to be bothered about much customizations. You can install it from the Software Center by checking this link: Download Kazam. SimpleScreenRecorder has much more features and customization compared to Kazam. For detailed configuration option for SimpleScreenRecorder, you may check my other post: SimpleScreenRecorder Configuration. Note for Audio setting: If you are using a microphone, then please select the option: 'Built-in Audio Analogue Stereo' as shown in the image below. Vikoscreen has similar features as SimpleScreenRecorder. The one feature it stands out from both of the above screen-recorders is it's Webcam option. If you select the 'Webcam' option then you can enable your webcam and simultaneously record yourself along with your screencast. Note for Audio setting: Same as above.